The United States has “more to lose than any other nation on Earth” when it comes to cyber warfare, former National Security Agency contractor Edward Snowden said in a recent interview. Speaking on PBS' NOVA Next program, the NSA whistleblower took a break from talking about surveillance to detail how and why the United States’ efforts to dominate cyberspace may be misguided and, ultimately, damaging to the country’s national security. Since the technical sector is what Snowden described as the “backbone” of the American economy, it stands to reason that efforts to undermine or damage the internet would cause more harm to America than it would other countries. As a result, Snowden argues that the US should allocate more resources to defensive maneuvering in cyberspace than towards offensive capabilities. 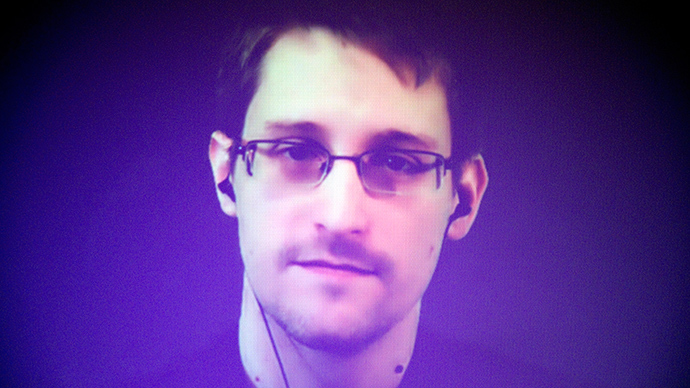 “Defending ourselves from internet-based attacks, internet-originated attacks, is much, much more important than our ability to launch attacks against similar targets in foreign countries, because when it comes to the internet, when it comes to our technical economy, we have more to lose than any other nation on Earth,” Snowden told Bamford. However, that is apparently not the way the US government approaches the issue. Instead, Snowden said that by prioritizing offensive measures, agencies like the NSA are actually making America’s security weaker, since they are discovering, creating, and exploiting vulnerabilities in the same type of technology used by Americans. If that’s the case, Snowden said, then when other countries adopt the same cyber posture and attack the US, the damage is far greater due to America's reliance on the internet. In the event that cyber attackers go after the simple ability to access the internet – instead of targeting a single structure like a power plant – the economic consequences would be huge. Rather than try to wage a cyber war against countries that are not as powerful as the US – either economically or militarily – Snowden said the NSA should re-prioritize its goals to focus on defensive capabilities. Defending the vast resources and economic power of the US, he argued, should be paramount. This is especially the case considering the low barrier of entry regarding the internet. Since any country, or individual group, could theoretically participate in cyber warfare, Snowden argued that trying to dominate it as if it were comparable to the physical world makes little sense. “Every time we walk on to the field of battle and the field of battle is the internet, it doesn’t matter if we shoot our opponents a hundred times and hit every time. As long as they’ve hit us once, we’ve lost, because we’re so much more reliant on those systems,” he said.